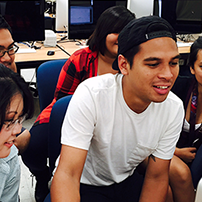 Approximately 60 Hawai‘i high school students will participate in a week long GenCyber Hawai‘i camp starting on Monday, July 13, 2015. These camps are designed to educate and excite high school students about career pathways in cybersecurity and to strengthen the cybersecurity knowledge base of high school teachers in the State of Hawai‘i. Students and teachers will be recognized at a special recognition ceremony on Friday, July 17, 2015. Captain Cliff Bean, Commander of the National Security Agency Hawai‘i will be the keynote speaker. “GenCyber” is a new partnership between the National Security Agency (NSA) and the National Science Foundation (NSF) to teach young people about cybersecurity. 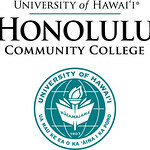 The Pacific Center for Advanced Technology Training (PCATT) and the Computing, Electronics & Networking Technologies program at Honolulu Community College will host the inaugural Hawai‘i camps in partnership with the Hawai‘i State Department of Education and the University of Hawai‘i System’s Information Technology Services division. Steve Auerbach, Director of PCATT addressing students at the parent orientation night. “We are excited the NSA has chosen Hawaiʻi to help increase awareness and develop the cybersecurity workforce. Our goal is to teach students cybersecurity principles while giving them an opportunity to explore this industry as a career option as they enter college,” says Steve Auerbach, Director of PCATT. Student lessons will culminate with a “Hunger Games” themed scavenger hunt that incorporates coded clues. It will test students’ skills in encryption, steganography and foundational principles of cybersecurity. “Growing the interest in STEM education, especially in cybersecurity, is not only good for the government, but the right thing to do for the State of Hawai‘i as cybersecurity is growing exponentially in the commercial sector,” shares CAPT Bean. The NSA/NSF partnership is also providing professional development lessons and support for approximately 30 high school educators from 18 public and private institutions. Participating educators will be supplied a Google Chromebook computer installed with 10 prepared cybersecurity lessons ready for the classroom.